Every year when I come back to Minnesota I join my old book club for their book of the month! It's one of my favorite things to do when I come home. Spending an evening with friends like we always did once a month, what could be better? I found out they were doing Francine Rivers' book The Masterpiece and was SO excited. If you've ever read a book by Francine Rivers, you know why I was so excited. If you haven't, then you're missing out. I reached out to Tyndale House hoping I could do a review of the book, and they agreed! When my friend told me once I started reading The Masterpiece I wouldn't want to put it down, I thought she might be exaggerating slightly. I couldn't have been more wrong, and she couldn't have been more right! From page one, I was hooked! Francine Rivers' writing draws the reader in and holds on to them until the very end. Actually this book in many respects reminded me of Bridge to Haven, which I read not too long ago. The characters have so much depth and realness. Roman was easy to dislike at the start of the story. He was living a very worldly life and only concerned for himself. Then there was Grace, a broken woman trying to find a way to make ends meet and figure out if she was keeping her son or giving him up for adoption. Two people who have been hurt tend to have walls built. Grace and Roman are no exception. Book club was fun discussing the book. One gal thought Roman was a jerk. We all got a chuckle out of her response. Our hearts all went out to Grace. Our discussion was wonderful and insightful. The questions at the end of the book helped with our chat. Be sure to give them some thought after you read the book! We agreed that we like how Francine wrote chapters specific to flashbacks of Grace & Roman's individual pasts. It gave us insights to how they became the people we meet in the story. Those chapters made them relatable, and I think helps us as readers to remember that the people we meet have a story. Be prepared when you start this book to stay up late and to tell yourself, "Just one more chapter!" 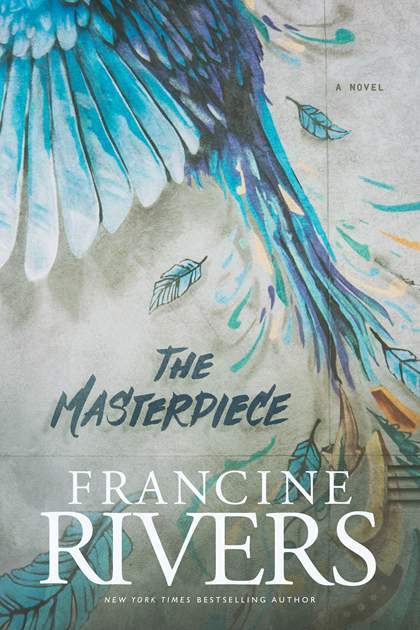 New York Times bestselling author Francine Rivers had a successful writing career in the general market for several years before becoming a born-again Christian. As her statement of faith, she wrote Redeeming Love, a retelling of the biblical story of Gomer and Hosea set during the time of the California Gold Rush. Redeeming Love is now considered by many to be a classic work of Christian fiction and it continues to be one of the industry's top-selling titles year after year. Since Redeeming Love, Francine has published numerous novels with Christian themes—all bestsellers—and she has continued to win both industry acclaim and reader loyalty around the world. Her Christian novels have been awarded or nominated for many honors, and in 1997, after winning her third RITA Award for Inspirational Fiction, Francine was inducted into the Romance Writers of America's Hall of Fame. In 2015, she received the Lifetime Achievement Award from American Christian Fiction Writers (ACFW). Francine's novels have been translated into over thirty different languages, and she enjoys bestseller status in many foreign countries. Francine and her husband live in northern California and enjoy time spent with their grown children and grandchildren. She uses her writing to draw closer to the Lord, and she desires that through her work she might worship and praise Jesus for all He has done and is doing in her life. Visit her website at www.francinerivers.com and connect with her on Facebook (www.facebook.com/FrancineRivers) and Twitter (@FrancineRivers).